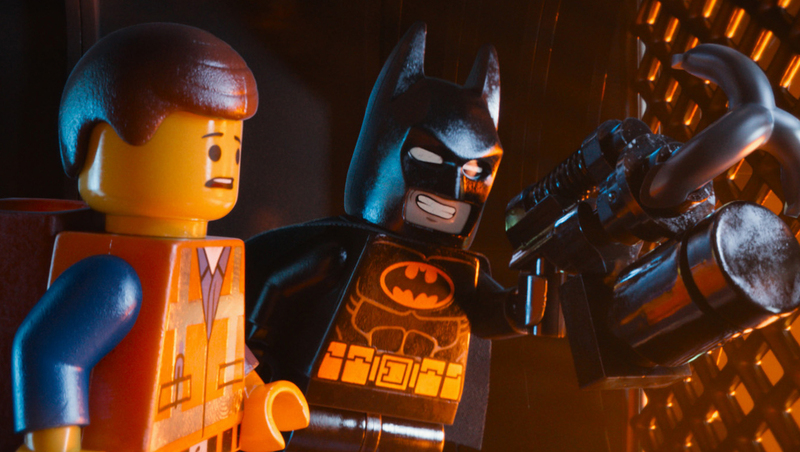 Action-packed new releases couldn't stack up to 3-D hit "The Lego Movie," which took the No. 1 slot in its third weekend at the box office. The Warner Bros. animated film bested Relativity Media's "3 Days to Kill" and Sony's "Pompeii" on their opening weekends. "The Lego Movie," featuring the voices of Chris Pratt, Elizabeth Banks and Morgan Freeman, earned $31.5 million, according to studio estimates Sunday. The domestic total has passed $183 million. Overseas, it grossed $23.1 million this weekend. Heading into full-fledged franchise territory with a sequel set to release in May 2017, "The Lego Movie" is the highest-grossing film of 2014. "It's been really tough for any of the newcomers to displace 'Lego,'" said Paul Dergarabedian, senior media analyst for box-office tracker Rentrak. "They had such a great release date that put them in this perfect position to dominate the marketplace for several weeks. For 'Lego' to earn $31 million in its third weekend, that would be impressive in its first weekend for any film in the first quarter." Relativity Media's crime drama "3 Days to Kill," starring Kevin Costner and Amber Heard, came in second with $12.3 million in its first weekend at the multiplex. "Pompeii," Sony's boiling gladiator drama starring "Game of Thrones" star Kit Harington, took third place with $10 million. There was a fairly even gender split for the Constantin-financed film, with the audience breaking down as 52 percent male and 48 percent female. The film's slot in the top five was steered mostly by viewers under 30. "Pompeii got savaged by critics," Dergarabedian said. "'3 Days to Kill' wasn't loved by critics either, so you had two films that didn't have a shot at taking 'Lego' out. But these movies did about what we would expect." The box office results for "Pompeii" were much better overseas, as the film made $22.8 million internationally. In its second weekend, the Sony and MGM reboot "RoboCop" dropped from third to fourth with $9.4 million. Starring Joel Kinnaman, Gary Oldman and Michael Keaton, the modernized sci-fi film (the 1987 original starred Peter Weller as a cop who gains a new robotic body) is down 57 percent from last weekend's domestic opener. For the second weekend in a row, the action film performed better overseas with $17.7 million. "The time of year that we're in, the movies just aren't the critics' darlings," Dergarabedian said. "These films give people options. But they won't necessarily set the world on fire at the box office." Sony's "The Monuments Men," directed by George Clooney, was pushed down to fifth place from last week's fourth-place spot with $8.1 million. Still, Sony dominated the multiplex with four films in the top 10. "About Last Night," starring Kevin Hart, Michael Ealy, Joy Bryant and Regina Hall, gained $7.4 million in its second weekend after a strong Valentine's Day opening. It is down a hefty 71 percent from its opening with a $38.15 million domestic total. Kevin Hart's "Ride Along," also starring Ice Cube, marks another hit for the comedian as it remains in the top 10 for the sixth weekend in a row. The Universal Pictures buddy comedy earned $4.7 million. It has made more than $123 million domestically since it opened on the Martin Luther King Jr. holiday weekend. Because of its vast success, the studio has secured "Ride Along 2." Tim Story will be back to direct, while Phil Hay and Matt Manfredi will return to pen the sequel. Disney's "Frozen," locked in at No. 8, refuses to thaw with $4.4 million over the weekend and $980 million worldwide during its run. The animated musical is the third-highest grossing domestic animated release of all-time. Rounding out the top 10, Universal's "Endless Love," starring Alex Pettyfer as the romantic lead opposite Gabriella Wilde, brought in $4.3 million, while the Colin Farrell-starring drama "Winter's Tale" gained $2.1 million. Next weekend, the action releases continue as Liam Neeson's "Non-Stop" hits theaters. Lupita Nyong'o, nominated for a best supporting actress Oscar for her role in "12 Years a Slave," also appears in the film.